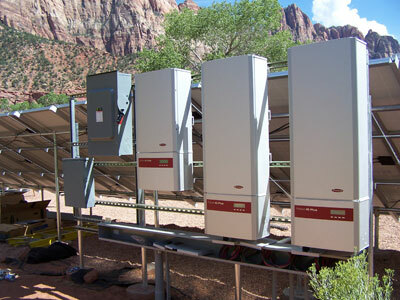 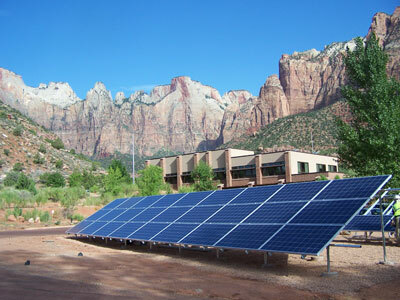 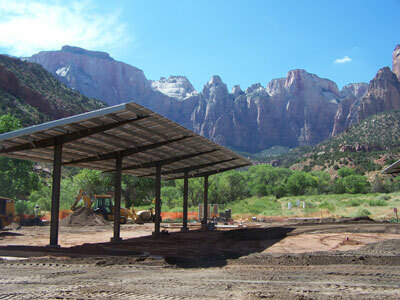 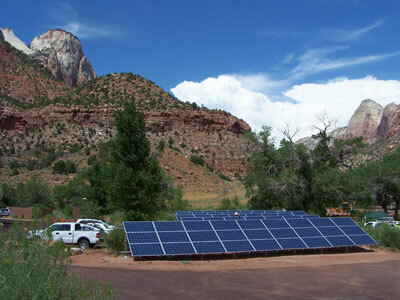 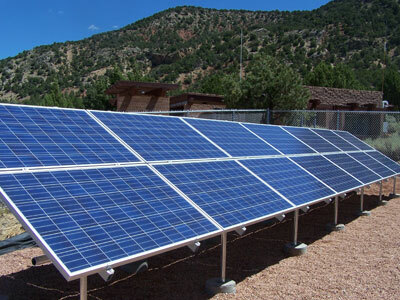 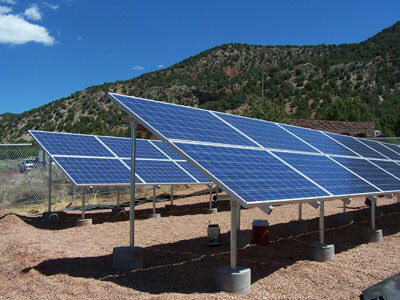 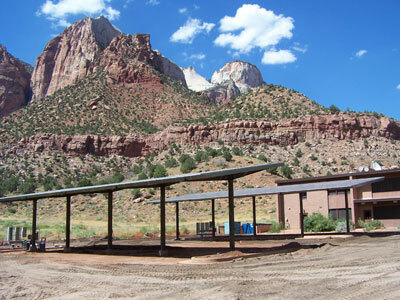 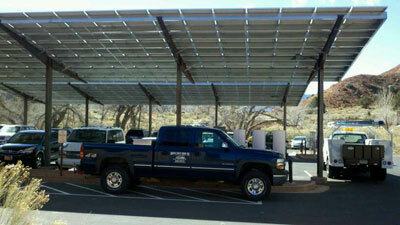 This was a job in Zion National Park that Donn's Boat Shop, Inc. did as a sub for SunWize. 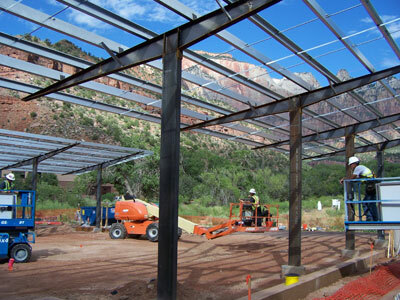 This was a 3 part job with parking lot structures and ground mounts at 2 different locations. 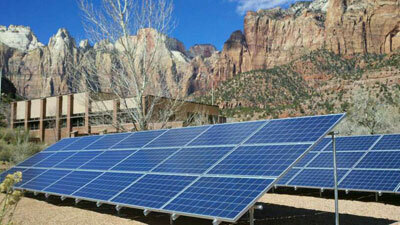 This is a grid tied system.